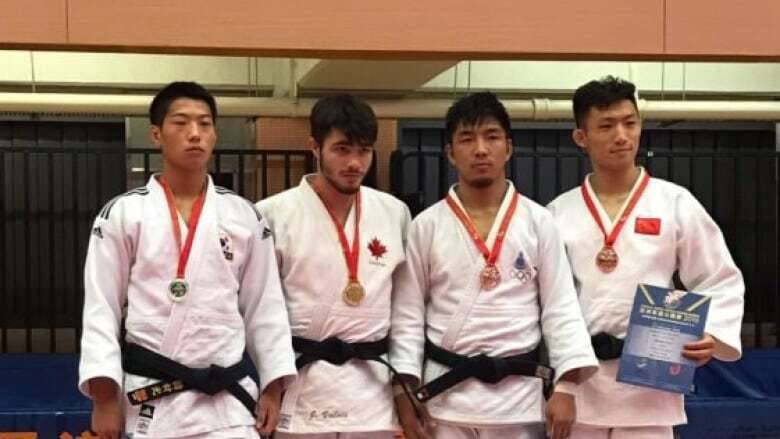 Canadian judoka Jacob Valois won gold in the 66-kilogram class at the Asian Open on Saturday while fellow countryman Hakim Chala took bronze medal in the 60-kg event. Valois, from Boucherville, Que., claimed the victory in the finale with an ippon against South Korean Han Jaegwang. "It's my first gold medal during an international senior competition, and my first one in Asia," he said. "It gives me international points, but it mostly shows I'm ready to step up to the next level, and participate in more Grand Prix and Grand Slams. I'll stay in this category for at least five years, so I'm off to a very, very good start." Valois defeated Polish Patryk Wawrzyczek by waza-ari in the semifinal after winning both his preliminary-round bouts against Huang Sheng-Ting from Taipei and Australian Nathan Katz by ippon. Chala defeated Soukphazay Sithisane of Laos in the bronze-medal match.